With a history dating back to 1978, KWC began its journey by manufacturing a wide number of miniature cars. The BB guns under the brand name KWC began to be manufactured in 1984. It was in 1993 that its BB gun products were created and registered for markets in Europe, Japan, United States, and South-East Asia countries. Finally in the year 2007, came the time for their CO2 guns. These were complete replicas of the real gun versions. Replica Airguns sells a range of KWC products including pistols and pistol magazines. 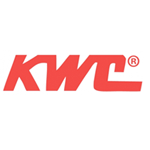 We are one of the best retailers of KWC Airguns.